Beauty School 101 – Transformation Edition! Debony Salon and Spruce Hurricane are joining forces to bring you this “Transformation Edition” of Beauty School 101! Walk away with a whole new look and even more confidence to do what you do, every day! Amber Dalton, owner of Spruce Hurricane, will be on hand to answer fashion questions, help you style your wardrobe favorites and find pieces to compliment them. Spruce Hurricane is a family owned and operated shop located in the heart of North Conway Village offering a special blend of western-inspired and mountain chic merchandise such as fine leather goods, fur coats and accessories. The shop echo’s its Appalachian Trading Post ancestry with hand-crafted Native American jewelry and western styled items. These influences create a look that is mountain chic, for those who love the outdoors but also appreciate the finer things in life. 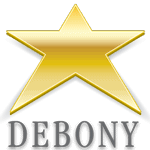 Debony Salon will be on hand to answer any beauty questions you may have. Are you looking to transition your make-up to match the fall season? Interested in learning how to achieve a natural looking brows? Luminescent skin? Are you wanting to brighten your eyes or find a new lip color? Come to this event and ask! We would love to work with you! PreviousPrevious post:A Tribute to the Employees of the ValleyNextNext post:Fall Fun at Debony Salon!